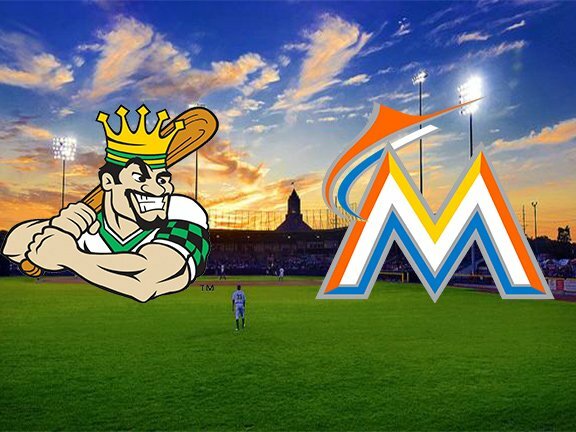 The Clinton LumberKings will have a new parent club next season after announcing Thursday night that they’ve signed a two-year player-development contract with the Miami Marlins. The LumberKings were affiliated with the Seattle Mariners the past 10 seasons. The Marlins are the 15th MLB team to affiliate with the Clinton ballclub, dating back to the franchise’s origin in 1937. Miami is the first National League team to affiliate with Clinton since the LumberKings ended their tie to the Montreal Expos in 2002. This is only the second time the Marlins have had a Midwest League affiliate. They were Kane County’s parent club from 1993 to 2002, during which time future major-leaguers Miguel Cabrera, Adrian Gonzalez, Edgar Renteria, A.J. Burnett and Dontrelle Willis were among those who suited up for the Cougars. Current Chicago White Sox manager Rick Renteria was Kane County’s skipper in 1999, when he was named the MWL Manager of the Year and led the Marlins affiliate to the second round of the MWL playoffs. The Marlins left the Midwest League for the South Atlantic League, where they were affiliated with the Greensboro Grasshoppers for the past 16 seasons. Greensboro won three playoff berths, two division titles and a league championship during that time. The Beloit Snappers and the Kane County Cougars are the only two Midwest League teams currently without player-development contracts in place for the next two years. They were affiliated with the Oakland Athletics and the Arizona Diamondbacks, respectively, this past season. This entry was posted in Beloit Snappers, Clinton LumberKings, Greensboro Grasshoppers, Kane County Cougars, Midwest League, South Atlantic League. Bookmark the permalink.